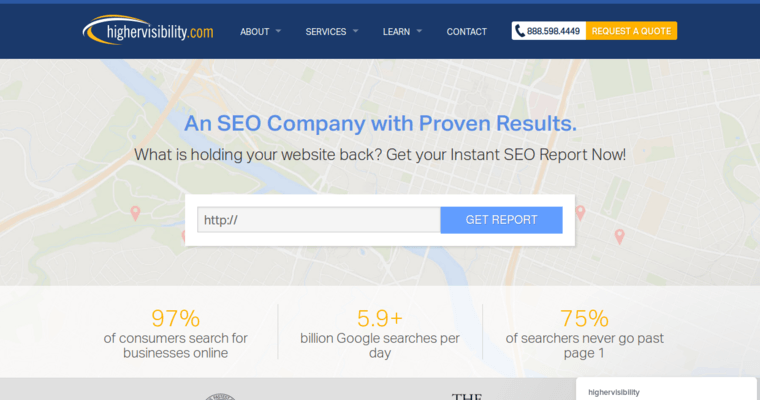 Higher Visibility begins by giving you an SEO report that makes use of its advanced SEO-analysis features. This gives clients a comprehensive view of their current search engine optimization health and allows Higher Visibility to create a specific solution to SEO problems. They were established in 2008 and operate on a philosophy of creativity and innovative solutions. To them, there's no "one-size-fits-all" approach to web design and optimization. They analyze each individual website to determine their needs. Marketing solutions are the heart of the Higher Visibility service. 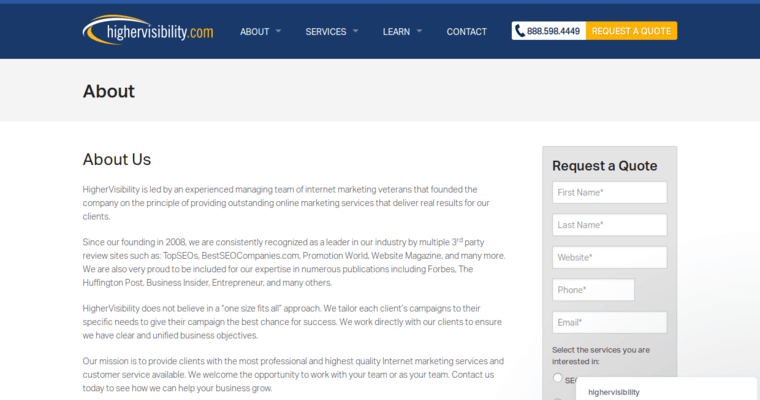 Without solid Internet marketing, no website is going to succeed. The team at Higher Visibility knows this and works tirelessly to employ all viable marketing solutions to existing and upcoming websites. 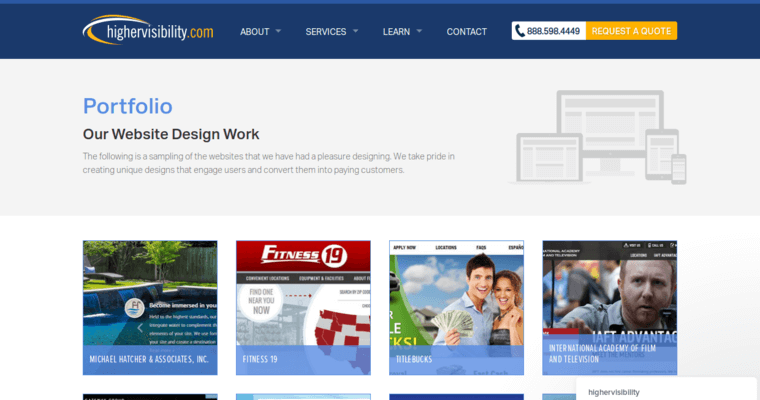 They are well-versed in pay-per-click marketing, web design, social media marketing, and all modern techniques for helping client websites get noticed and stay noticed by a the people who demand more from their modern web.